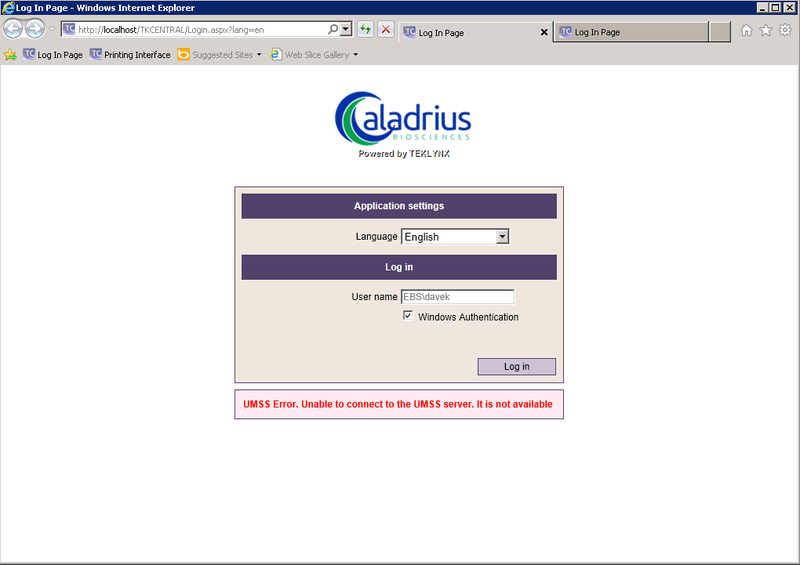 This Error Message Article explains the TEKLYNX CENTRAL error message “UMSS Error. Unable to connect to the UMSS server. It is not available” and details how to fix the underlying problem that caused it to appear. The browser interface connecting to the PrintUser function, during login, is unable to authenticate to the UMSS. In the case where this appeared, the Tkxsvr Servers Service services was not running. Starting the Tkxsvr Servers Service service fixed the problem.